Introducing PODCAST of Manupatra Desktop Alerts, every evening! At the time of login, go directly to the most used function in Manupatra. These functions are available as the drop down. 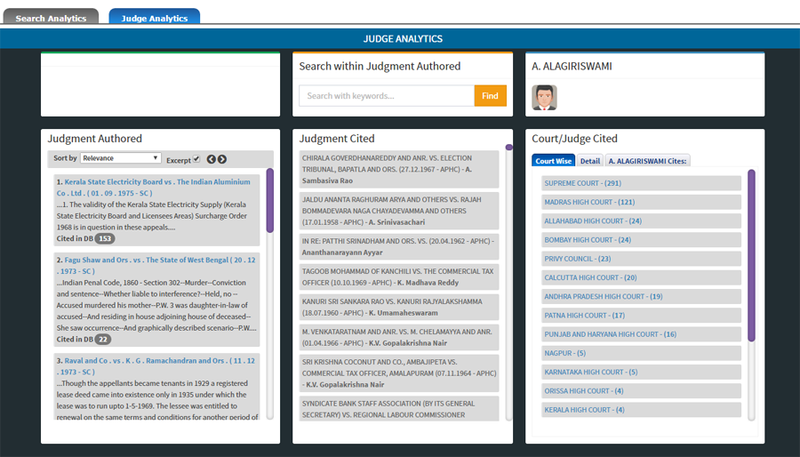 This feature will enable users to see the relevant paragraphs in various judgments, where the current case has been referred. Click on Cited in Para link appearing on top of the judgment. This link will only appear in judgments which have been referred in other judgments. 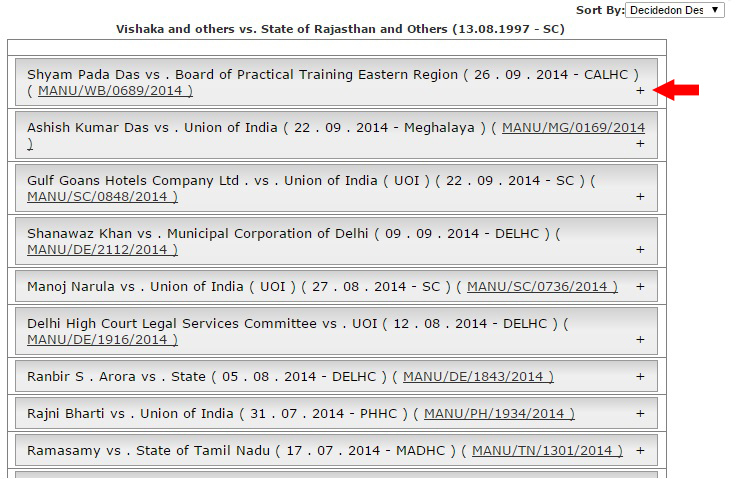 Clicking on Cited in Para opens up a page which lists all judgments where the subject Vishaka case has been referred. Click on plus (+) sign appearing against a case name. This expands to display the specific paragraphs where the current case is mentioned. Save your research time further, as you no longer have to search for various judgments in which your subject has been referred. 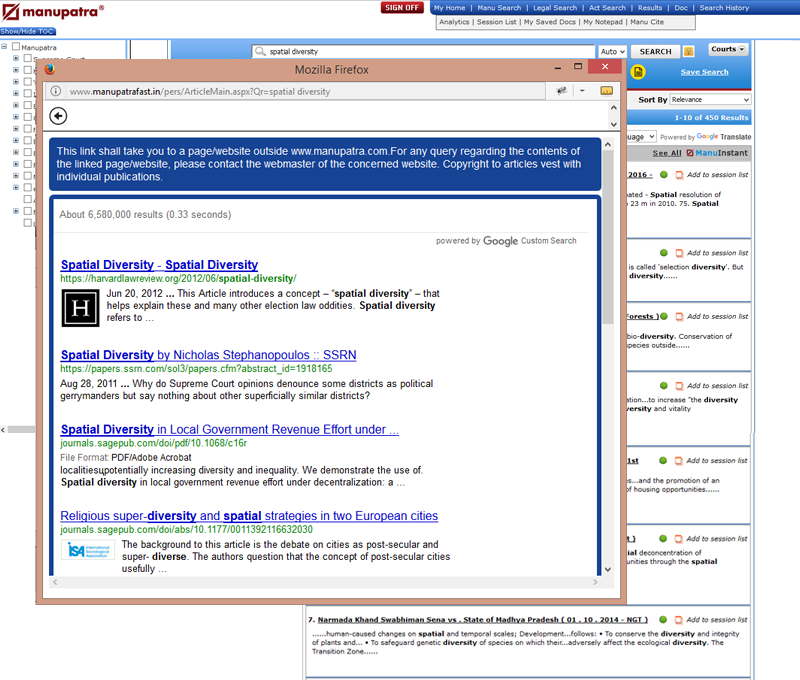 You get a ready listing of the judgments along with the specific paragraph/s where the subject case has been mentioned. Read the para or jump to the full text of the judgment through a ready link. Judge Analytics ( New ) is now being displayed, it is showing 3 panels. Panel 2- Judgment Cited : showing cases cited by the selected judge. Panel 3 – Court/Judge Cited : showing court wise- Judgment cited by the selected judge & their details, also shows judges (no of cases) cited by him in his judgments. User can also search within the judgments authored by a judge and can sort those results by relevance, title, court, Date of decision etc. On click of + button it will list the Sub Topics, to directly go to the judgments under a Sub Topic click on > button. In case of any clarification, please feel free to get in touch. Additional options have been added to the sticky note feature. You can now access all your sticky notes documents from ‘My Saved Docs’. While creating your sticky note document it will ask you to save it in a folder , if you do not choose a folder, it will get saved in ‘My Folder’ by default else it will save in your chosen folder. You can access the same documents from ‘My Saved Docs’. All your old sticky note documents are added and is available in the “My folder” section. You can also print/email a sticky note document (one at a time) from the folder. Sticky note documents can now be accessed from Manupatra App as well. 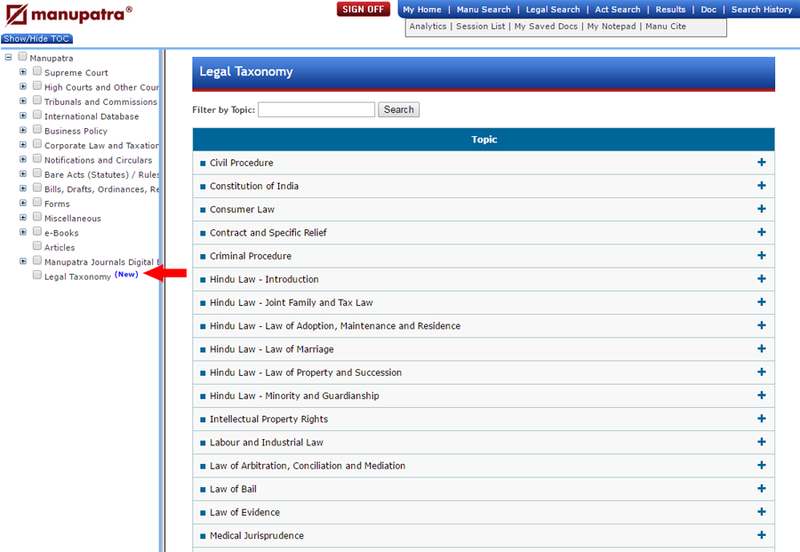 In Legal search a new search field “Subject category” has been introduced. This will search for judgments wherein the subject category is mentioned. Subject category Is a categorization given by Supreme Court to some of their pronounced judgments. 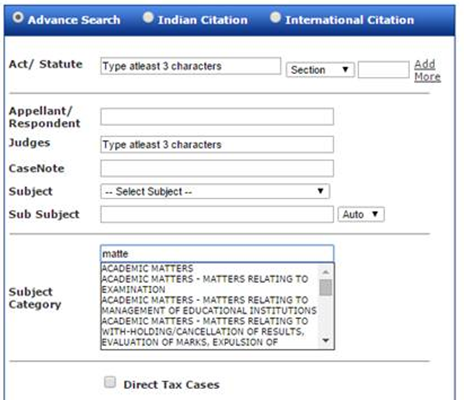 The subject category field can be used individually or in combination with other legal search fields. Search on this field will be restricted to judgments which have this field.